A wildland firefighter looks out over one of the fires burning in the Southern Oregon Garner Complex Saturday, July 21, 2018. After nearly a week of fighting dozens of lightning-caused fires, agencies in several levels of government announced plans to better coordinate the firefighting. The Rogue River-Siskiyou National Forest announced "a multi-agency coordination group that will provide a mechanism for prioritizing incidents, sharing resources and putting fires out more efficiently." A series of thunderstorms on July 15 started the fires and threw federal, state, and some local firefighting agencies into high gear. But even physical proximity does not mean shared resources. For example, Oregon Department of Forestry is managing the Wagner Creek Complex of fires, but it's U.S. Forest Service crews fighting a fire close to nearby Wagner Butte. Rogue River-Siskiyou National Forest Supervisor Merv George Jr. said, "local leaders believe that we can be more efficient in keeping our communities safe by working more strategically together." Around the same time, Jackson and Josephine Counties released an interactive map showing all of the fires currently burning in the two counties. 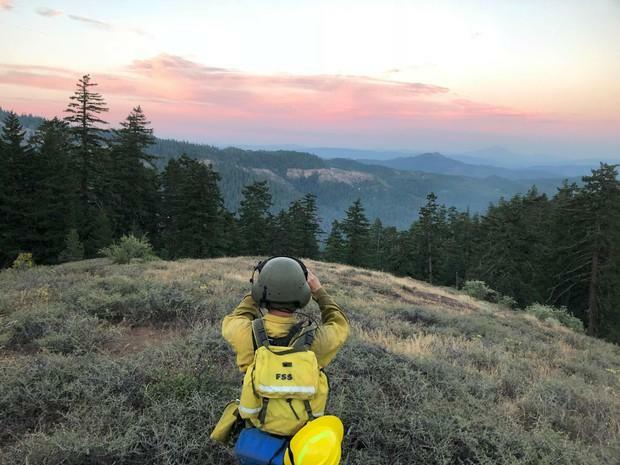 Meanwhile, ODF announced the raising of the fire danger to Extreme for state-protected lands in Jackson and Josephine Counties, effective midnight Thursday, July 19.